Summer, the dreariest among the four seasons is ongoing right now. This is a joyful season for children as we know they will be in summer vacation. But for adults it will be nightmare to pass these days. Even if someone is in air-conditioning room round the clock, if they exposed outside it will be like entering into an oven. One should take care of their health in summer to escape from many summer borne diseases. Eating healthiest and natural food is the best option to do that. By eating so, it is good for our health. Also, most of the summer foods are very joyful and pleasant to have. Summer has its own unique seasonal fruits. Here you find some of the best natural summer fruits to have for a healthy as well as joyful summer. Most of these are seasonal fruits and some of them are available all time. Though available all time, it is only pleasurable to eat these in summer. Mango, the King of fruits, is the tastiest fruit which one should have in summer. Mango is very delicious that most of us are waiting for summer to eat mangoes. It is juicy, soft and sweetest fruit. Also its yellowish color and aroma are also very satisfying. Mango is very healthier fruit as like as yummiest one. It has more nutrients which can prevent us from many diseases.It is healthier fruits you should have in summer. Summer without Mangoes is unimaginable!! Watermelon, the name itself has water so that the whole fruit. 90% of watermelon is only water. It is red colored pulp, which is eatable covered in green colored casing. It has more number of seeds. Watermelon is cultivated in Egyptian era itself. Watermelon has the ability to control dehydration, cancer, hypertension, obesity and some other serious illness. Go to nearby shop, buy watermelon, eat and enjoy. Another point to note is that its seeds will be roasted and good to have. Palm fruit is a unique type of fruit which we get from palm tree. It is widely cultivated in south Asian region. It is only available during summer season. It is a slimy, colorless, cool and tasty fruit. Actually, its seed what we have to eat. Unripen palm fruit is cut at the top and it has two or three seeds which has fleshy jelly like part that is edible for eating. Ripen palm fruit is also tastier one which might be unknown to many. If the entire fruit is left to ripen, the fibrous outer layer of the palm fruits can also be eaten raw, boiled, or roasted. Seed of the ripen palm fruit becomes hard and inside it has a tasty shell which is also a mouth-watery thing to have. Summer is certainly a season of Palm Tree. Because we can have one more good-tasting drink from palm tree. Locally it is called by many names and it kind of juice from palm tree. Palm juice is available in alcoholic and non-alcoholic form. Yes! You read it correct. Alcoholic. Alcoholic natural palm juice is called as Toddy.It is milky in color and sour in taste. Mixing with lime hydrate gives us sugary palm juice which is non-alcoholic. It is very tasty natural drink one can get only during summer. It is extremely cool in sensation and has sugary sweet taste. Tasty palm juice along with palm fruits is the healthier and most pleasant food one must have in summer. Wherever you are, travel to a village, go to field in morning time and have this exotic combo. Jackfruit, belongs to fig family, which contains more number of seeds in a single fruit. Yellowish layer covered the seed is the edible portion to eat. It is very tasty even though it is dry and non-juicy. Jackfruit has a distinctive sweet and fruity aroma. A fully ripe Jackfruit is known to emit a strong aroma.Even though, it is available all time in year, summer is the best time to eat a pleasant jackfruit. Jackfruit soaked in honey is also a best choice to enjoy this big fruit. Litchis are another juicy and delicious fruit that makes an appearance during summer. It is one seeded plum like fruit in which the outer red colored coating is peeled off to expose the colorless fleshy part that is yummier to eat. Litchis may be eaten as fruit or used to make delicious sherbet, squash, ice cream, pudding and fruit salad. Litchis are also healthier fruit and can save us from dehydration. Litchis are readily available in your nearby market itself. Go get some litchis and pleasant yourself. Muskmelon, another fruit belongs to the melon family, makes our taste buds to dance during summer. Like other melons, muskmelon is also known for its high water content. Which means that it will help you in preventing dehydration. It has also more nutrients which can control many diseases and especially it is suitable for people who are in diet. The above mentioned fruits are seasonal summer fruits even though nowadays advancement in farming technologies makes some of them are available off-season. The following are the all-time available foods one should have to escape from summer heat. Tender coconut water is the clear water present inside coconuts. It is extremely rich in minerals and nutrients which is very good for our health. It is a natural hydrating water which can capable of preventing many diseases. Buttermilk is an easily home-prepare drink which is very cool and tasty. If you drink buttermilk, you will feel energetic and reviving. Curd is mixed with salt and water to make tasty buttermilk. Also, coriander leaves, raw mango, onion are mixed as a toppings. 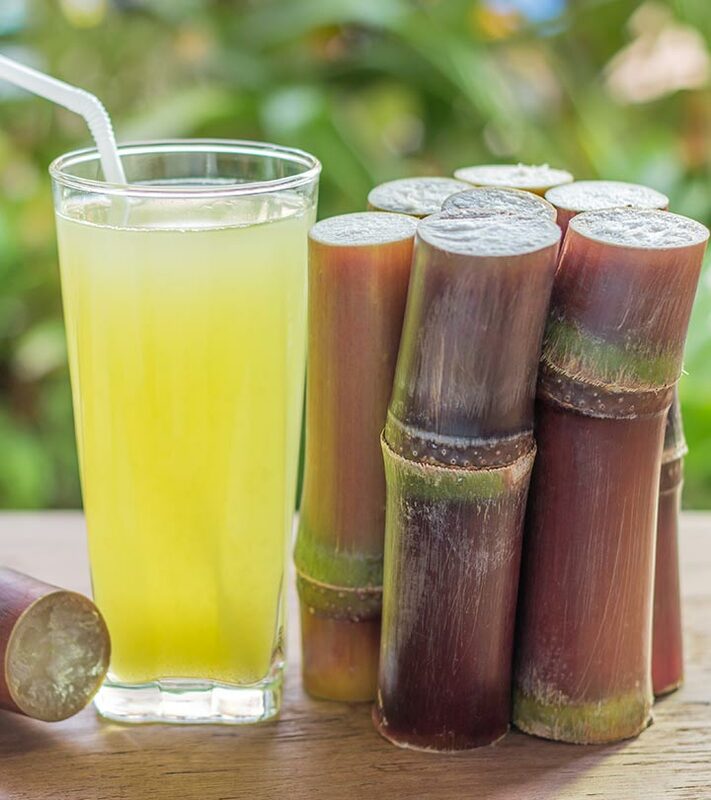 Sugarcane juice is easily available everywhere during summer season. Raw sugarcane is crushed with little quantity of lemon and ginger to get tasty sugarcane juice. It is high in calories and is very healthy to have in summer. Yes. Water! Water is essential for our life. During summer, it is more and more essential. One should drink more water to escape from dehydration. Drinking water in right quantity and in a right way can alone give us healthy body. Drink minimum 3 litres a day and save yourself from summer heat. Carry a water-bottle wherever you go,don’t hesitate to drink water whenever you feel thirsty.